As part of NYCC’s Digital and Customer strategy, it was agreed early that we would look to manage customer online interactions in one place, in a consistent manner. This was to achieve the key objective we set of moving 70% of transactions online. It was decided that we would invest in building our own digital products/capability internally, using open source platform and open integration. 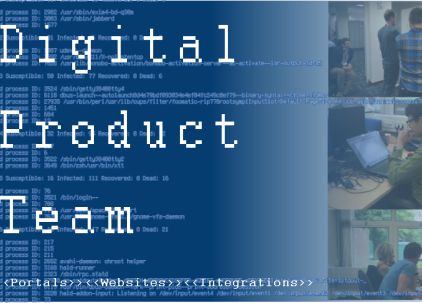 We have a Digital Product team consisting of developers and a UX lead, who produce, enhance and maintain our core portal product. Across the 3 instances we currently have, it manages around 2500 Citizen service requests, 2000 Commercial Transactions and 100 partner requests on a monthly basis. As the system is integrated to the backend systems, the majority of these requests are going directly to the teams that need to complete the request e.g. highways teams, Care and support team. The key achievement has been our focus on reusable components like make a booking and make a payment, which has made it easy to bring new services in and has also allowed us to improve key areas customers were struggling with i.e. we are currently looking to improve our evidence upload process, which is used for bus passes and our new Blue badge service. Difficulties working with 3rd parties in terms of their experience using open API’s- as not many other authorities are working in this way, we have had difficulties both with appetite and capability for suppliers to work with us using open API’s. Some ongoing challenges adopting an agile and product management approach in a very waterfall/business case organization- were still not there and still working this up but this requires a significant culture change and buy in at senior level, to different ways of working. Use of Google Analytics and Google data studio data has been really beneficial, enabling us to understand more about what our customers are experiencing, what they are struggling with, what they like and what they use most often challenge with the business to drive more online take up- risk averse- Struggle to set more challenging targets.